What can you do to change your day? What thoughts did you begin your day with today? This morning it sure is difficult to maintain positive thoughts. The shifting energy, defining priorities, and just getting out of negativity to begin my day in a positive way has been a challenge. I am now there and ready to start smiling and thinking positive thoughts. I am consciously aware of what negative thinking creates for me in my life. I believe I will learn from the negatives and keep moving forward with this day in a positive way. What will you do with your negative thinking today? What one positive thought do you have this morning? What positive thought will you end your day with? Today has been a positive and fulfilling day. It was wonderful to talk with friends, family and to, get out to see some of the countryside. It was great to enjoy a day of sunshine filled with love. What positive thought do you have to end your day? What positive thoughts will you have this morning? I will look at the world today from positive thought and carry through the day with smiling and happiness when I can! What was your first positive thought this morning? What is one of the most simple positive thoughts you can share every morning? 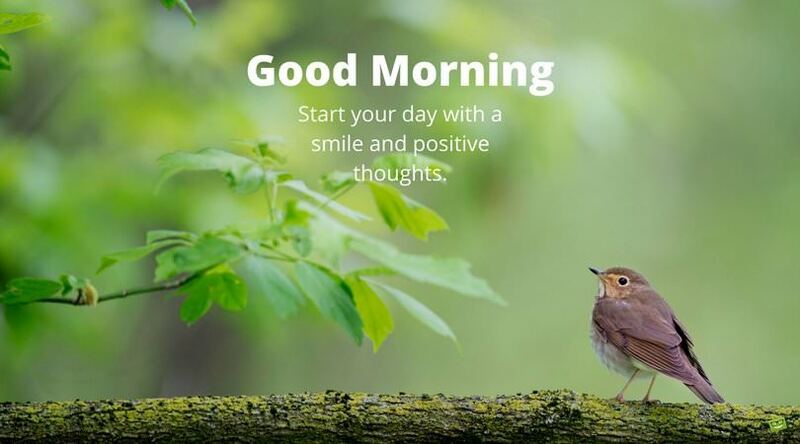 What positive thoughts did you have this morning to begin your day? When I woke up this morning my thoughts were t about the sunshine, the cool air coming through the window, and the many wonderful experience I will create today. and through this brand new week starting right now. I am consciously aware of my thoughts knowing how important it is to think positive , believe what I am thinking and creating my life experience to match my thoughts and beliefs. What positive thoughts will you have today? What is your positive thought for tonight? It was a non-stop, busy day and a day in which I accomplished a lot of good things. I will sleep well knowing that the difficult busy times are now finished and tomorrow is a day for leisure, love, and laughter! How positive will your day be tomorrow?